New editions of Henry Gregor Felsen's '50's car books. Holly has republished her father's books, to bring them back for those who loved them once, and for new readers who might enjoy a taste of teens and how important their cars were to them in the 1950's. Hot Rod is only available by itself or with the complete Henry Gregor Felsen Collection. 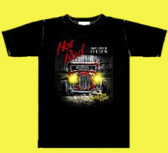 The Street Rod Collection For those who already have Hot Rod. This set does NOT include Hot Rod, which must be purchased separately. and are printed in both the UK and Australia to provide less expensive shipping options. This set includes all 6 novels. Box for set will be mailed at a later date. Bud Crayne is on the road to Trenton, again! Black T shirt with the new cover art. Show everyone that Bud Crayne lives! Sizes L Only 20 remaining. This poster is a replica of the first Hot Rod paperback edition, 1951. 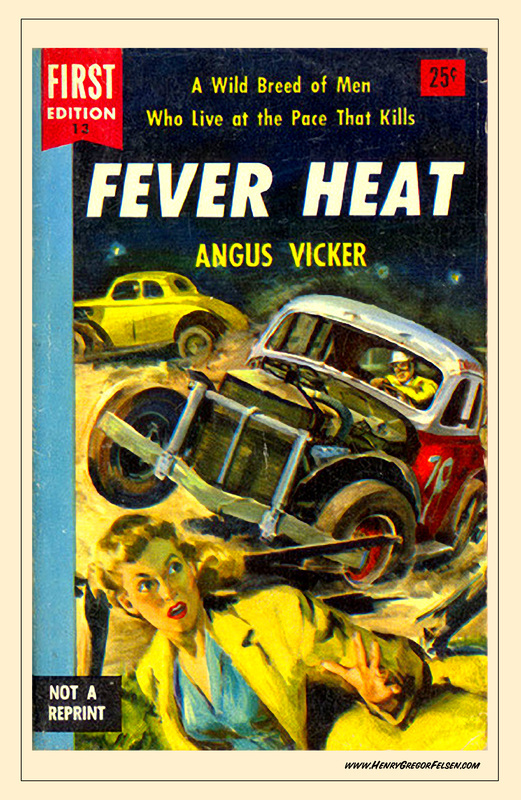 Designed in the mid '50's, this cover remained as the face of Hot Rod until 1990. Although this cover was not the car in the book, it drew many readers to Street Rod. Mid '50's. Holly designed this cover for the 60th anniversary edition of Hot Rod. Input from readers helped this cover come to life. This poster was inspired from a photo shoot for the book Street Rod. It was in a small drugstore that is a remnant from the past! All posters are 11x 17, printed on 100# heavyweight paper, and are UV coated. Posters are rolled and shipped in a tube. Shipping is a flat rate of $3.50 whether you order 1 or all 5.